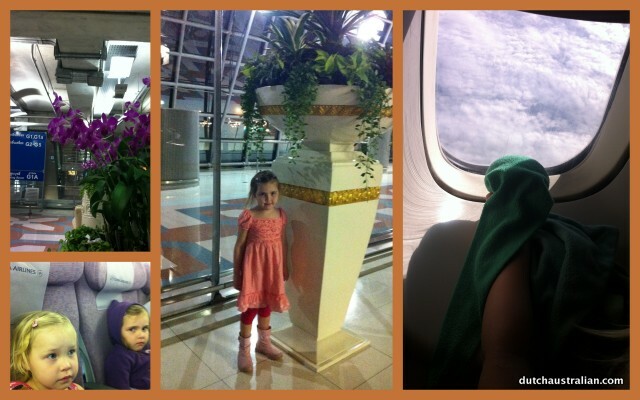 This was a transit day travelling from one side of the world to the other with 2 small children. 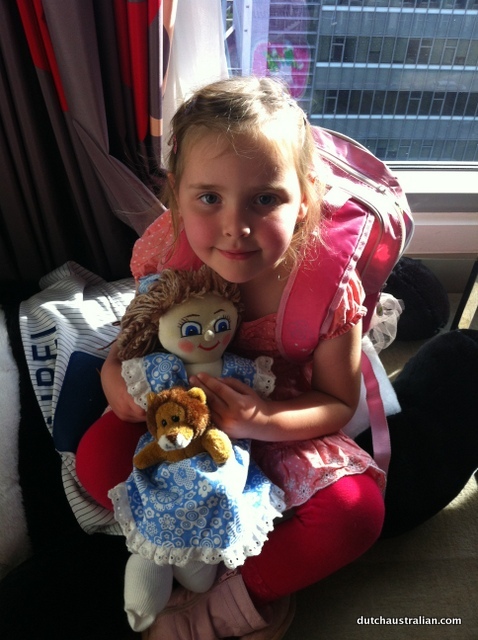 Our journey started in Moving to The Netherlands – Day 01. 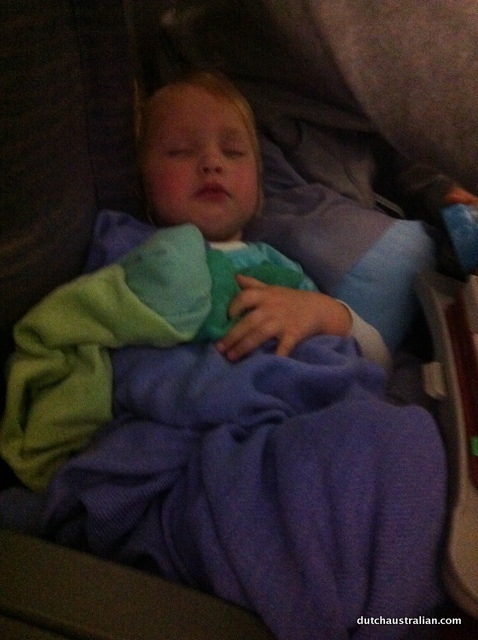 Thankfully Isabella slept most of the way on the first leg and Sophia, Bas and I managed a few hours too. 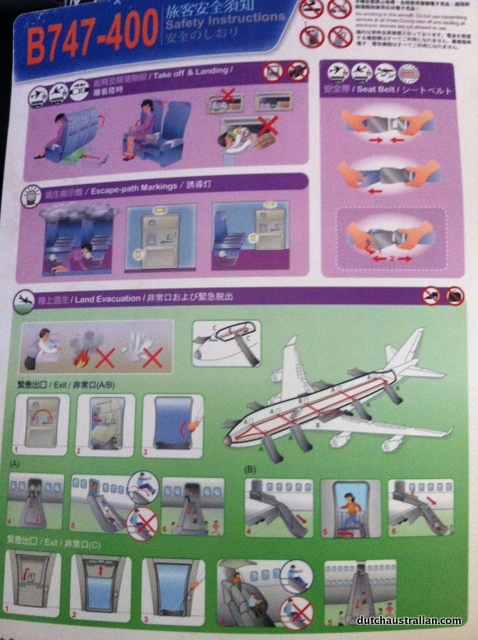 On Monday, we landed in Taipei in the early hours of the morning. The airport was fairly empty apart from those on our flight who all seemed to disperse quite quickly. Our luggage was checked right through to Amsterdam, so we only needed bring our carry on bags – which were already way too much (our laptops, changes of clothes, things to keep the girls entertained etc) but we managed…though Isabella did insist on sitting on the ground and refusing to budge at one stage which was difficult. 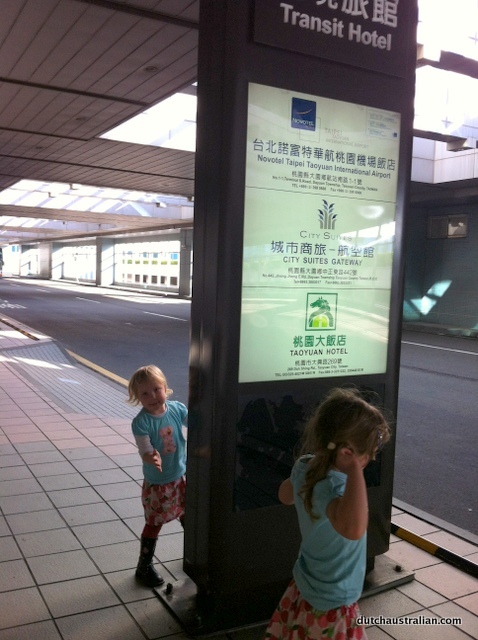 We had a 16 hour stopover in Taipei and had booked the Novotel hotel near the airport for 12 hours to rest. 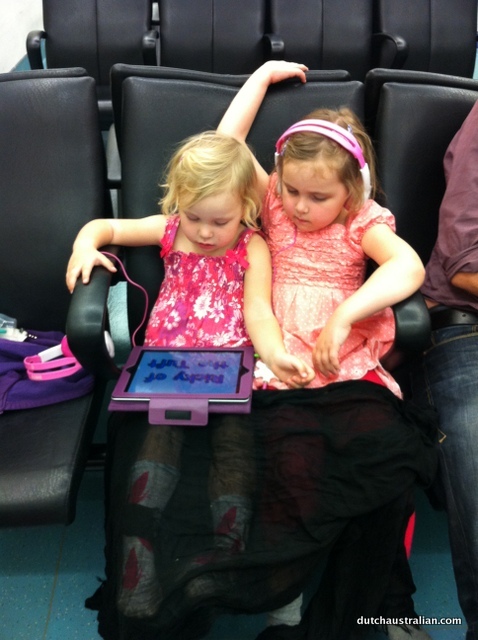 On arrival at the airport, we had no idea where to go…and everyone we spoke to didn’t speak english! We knew there was a courtesy bus but had no luck finding the departure point in our initial explorations. The info desk was not yet manned so we settled down for a while to wait…and eventually found someone there to send us in the right direction. The heat hit us like a wall walking out of the airport! We’d luckily dressed for this and stripped off some layers and didn’t have too long to wait by the bus-stop. The hotel was only a few minutes away and we were really looking forward to a rest. Unfortunately, despite checking the booking with the agent several times, it was incorrect. We had prepaid and had a written confirmation for 12 hours – but the hotel insisted it was only 6 and we needed to pay another AUD$200 for the additional 6 hours. All a bit of a pain but in the end emailed the travel agent with the free wi-fi and she said they’d reimburse us. We also booked a family room for 2 adults and 2 children which was supposed to be 2 beds….but ended up with just one. It was large enough at least. 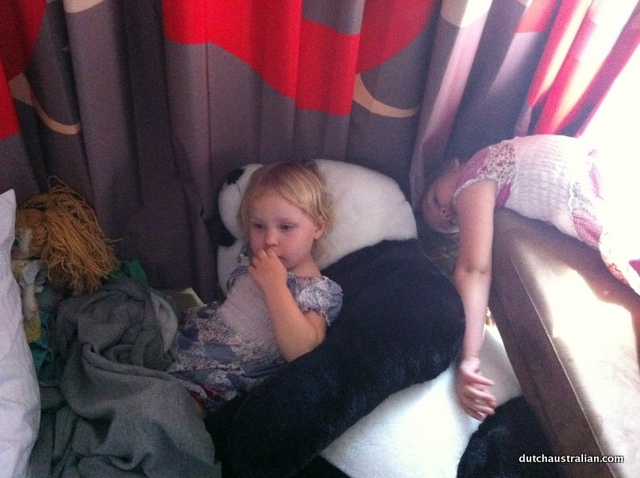 The girls were delighted with the huge panda in our room. 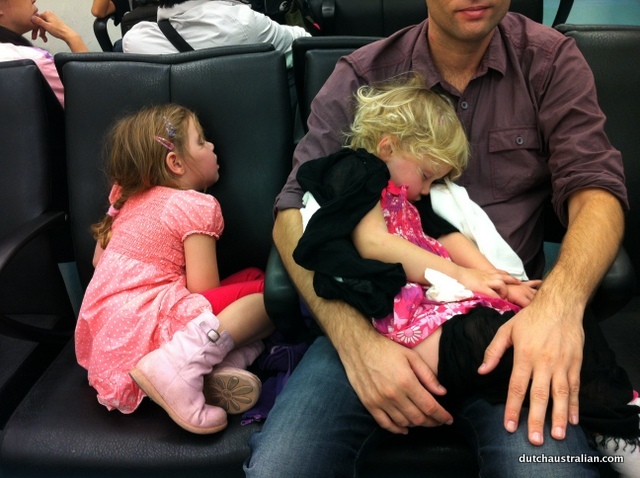 They did rest…and Sophia and I had an hour or two sleep while Bas took Isabella to the pool….but no way we could get Isabella to sleep at all for the whole hotel stay. She even threw a couple of tantrums…a bit like childbirth if I think back on it….seemed impossible to bear at the time but once you’re through it you the pain starts to subside! Papa and the dolls got a bit of a nap but not for long, it was only a small hotel room and hard to keep the girls quiet. 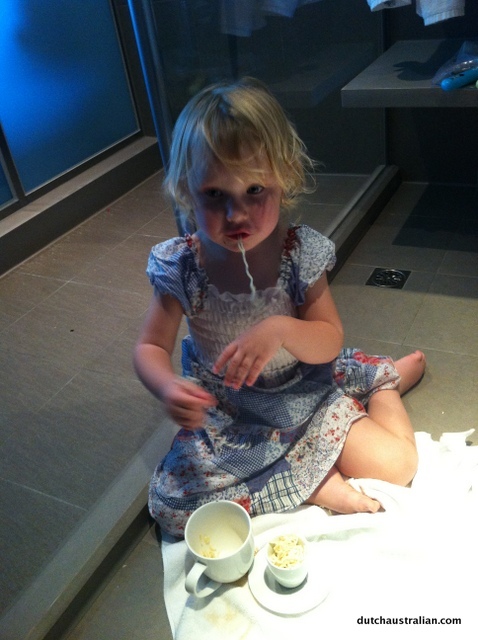 We had brought some packet noodles in our hand baggage and put the girls on the bathroom floor to eat these so they didn’t get them all over the carpet! Took the girls down to the foyer for a while to play in the small kids area. They both got a toy lion from the staff which was nice. We had an amazing Asian buffet dinner in the hotel restaurant for dinner, for only about AUD$25 per adult and the kids ate free (which was good as they didn’t eat much). 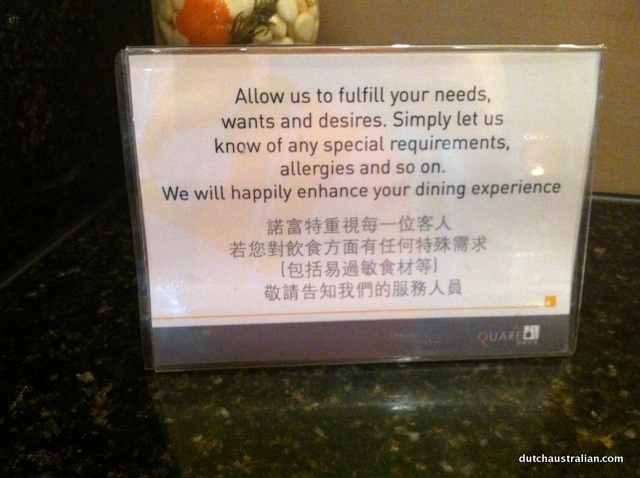 I had a fantastic time exploring the buffet…unfortunately my enjoyment was dampened a little by two grumpy girls and the fear of eating something that would make me sick on the next leg of the journey. 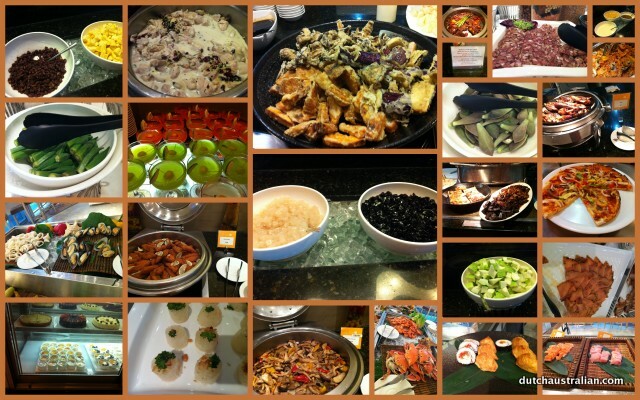 Here is a collage of just some of the amazing array…many dishes I had no idea what they were! 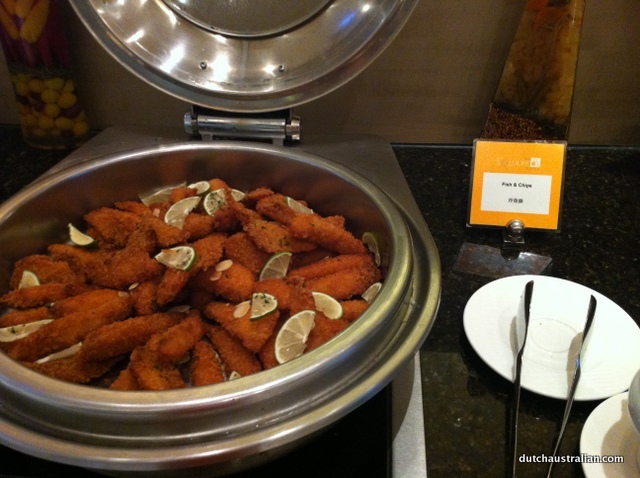 …and western food….spot anything missing in this photo? The sign is a bit hard to read but says “fish and chips” and the chips were NOWHERE to be found! The next leg wasn’t too bad, just a few hours first before we stopped briefly in Bangkok, then about 12 hours through to Amsterdam. Below are the girls getting a bit grumpy on the flight but they did pretty well (got some sleep in and watched tv and enjoyed the novelty of in flight meals). Isabella showed her friend “Elfie” out the window. Sophia took some time to read the in flight card…and was excited about there being a slippery slide to play on! I had to explain that hopefully we wouldn’t be playing on that. 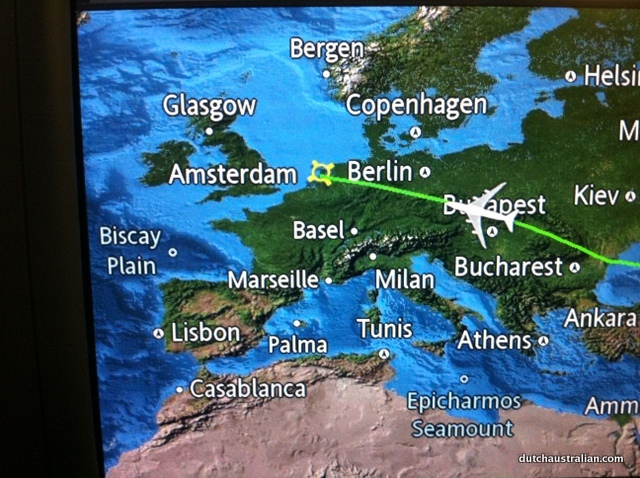 From the looks of the in flight map, it seemed our huge plane wouldn’t take too long to get to Amsterdam (if only). Finally, we did land in The Netherlands. Read about Day 03 for our arrival and reunion with Dutch family. I hope the jet-lag etc., have worn off by now. Thanks sharing your experiences. (It’s a little bit like ‘going back’ myself, without having to leave this chair and Remi, the cat! Renee, I was told by a man who worked at a restaurant in Thailand that they believe ‘chips’ are the lemon or lime wedges! They call them ‘chips’ like ‘ice chips’! I too ran into these signs (and assumptions!) along the way in Asia, hilarious!